Consumers are more informed than ever before, and your customers in the snow sports industry are no exception. To stay a step ahead of increasingly educated consumers, ski shop and snow sports retailers need to monitor trends and products that will position them for a profitable sales season. Now that warmer weather has arrived, it’s time to start planning for the next winter sports season and making sure your point of sale (POS) system can seamlessly integrate new products and snowsports packages to help you capitalize on the latest snow sports consumer trends. According to Snowsports Industries America (SIA), the 45-54 and 55-64 age groups have shown the largest increase in alpine skiing participation. Retiring baby boomers with more disposable income and more leisure time are choosing to explore this activity. Backcountry skiing is also becoming more popular, showing an even greater increase than resort skiing. Cross-country skiing participation is also on the rise. Among younger consumers, snowboarding continues to rise in popularity. A March 2018 SIA article reports that youths 17 and younger, both male and female, now make up 34.3 percent of the U.S. snowboarding population. This growth has been influenced by factors such as youth-centric programs and camps, crossover sports such as skateboarding and surfing, and competitions such as the X Games and the Olympics. The 2018 Winter Olympics showcased several young medalists with growing social media influence, such as Chloe Kim, Jamie Anderson, and Red Gerard. Analysts predict that snowboarders who start young are likely to continue participating in the sport. Snow sports consumer trends in equipment will help you decide which products to stock, and your POS system should provide state-of-the-art inventory tracking, layaway programs, and equipment maintenance schedules so your customers get the items and services they want. Another snow sports consumer trend is an increase in environmental consciousness. Customers want apparel constructed from organic materials, using techniques that focus on sustainability. Previously, durable water repellent (DWR) treatments applied to fabrics used perfluorinated compounds (PFCs), which do not break down properly in the environment and can become toxic. Companies such as Nau have begun using PFC-free DWR alternatives (bio-based and hydrogen polymer-based) that are less harmful but still provide the desired water resistance for outerwear. Biometric spider silk is another waterproof/breathable fabric innovation that is renewable and petrochemical-free. Style also influences clothing trends. SIA reports preferences for solid colors or color blocks, clean lines, and pockets. Smaller brands such as Strafe and Voormi are getting more attention from consumers. When incorporating the latest products into your snow sports or ski shop retail business, your POS system is a valuable tool that you can use to manage inventory and monitor trends. It can enable you to upsell products and offer bundled packages that tempt customers, as well as deliver exceptional customer experiences. 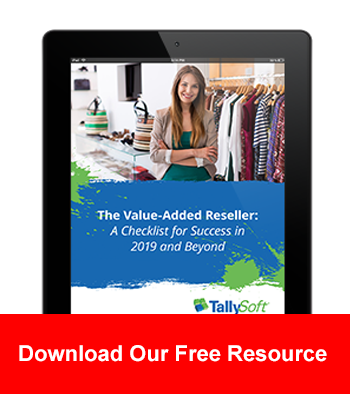 Contact TallySoft to learn more about how TallySales ski shop retail management software can help your business carve through the competition.